So the first 9 posts are up for the container tutorial series... but I haven't made much mention of what can be done to play around with the windsor container yourself while reading this series. Well first-off ... my thoughts on getting started with the Castle project are generally practical, first off I think it's worth grabbing the second release candidate - check out what castle can do, have a general play, maybe try to generate a monorail project and get it working... and then ... well I would probably uninstall it, and grab the latest cut of the castle project and contributed projects from svn and build it yourself using nant. This gives you opportunities to use all the "new stuff" that gets added day by day (as well as bug fixes) but also ensures your actually capable of building and contributing patches for any issues you discover. Throw an exception if we try to get an isntance of SecreteMessageSender without having set the from configuration parameter. Find the default implementation of the IEncoder registered in the container, and to supply that as the value for the second argument in the constructor. Notice the way the parameter is formatted - instead of the markup for a property reference which starts with a hash (#) we start service references with a dollar sign ($) and then surround the components identifier with braces. And thats our first look at constructor injection... we will revisit constructor injection again in later posts, however the next part will look at setter injection. So I've decided to do a quick little series on the windsor container - all up It'll probably cover 15 to 20 posts... each one should be very short, covering some small concept... just a little nugget. This series will be a little different then most discussions on IoC and containers... rather then get in your face with concepts like dependency injection, and encouraging testability, it's just going to focus on the container itself, and the ways you can use it... I'm not sure if it'll be of any value, but If nothing else to gets me back into blogging regularly. I'll be posting them in batches... so the series should be finished within a week. So far we've looked at registering one implementation for any one service, you could call them the "default" implementation, because it's the implementation the container returns when you ask for that service... but your not limited to only having one implementation registered, and the way to do this is by giving each implementation that's registered a unique key. It's a simple class which lets us read the contents of a file as many times as we like... so we're going to try registering it twice, with different configurations (and different identifiers) in the container. particular implementation... but what about the default instance, which reader will that be? Default contents: This is the contents of file 1. File1 contents: This is the contents of file 1. File2 contents: This is the contents of file 2.
registered is the default... which is another example of convention over configuration with Castle, rather then having to explicitly denote which is the default with some more xml noise. 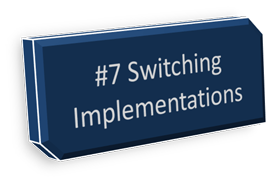 you need to find an implementation that can do the work of sending the message. check that a container has a certain key registered in it, would we! 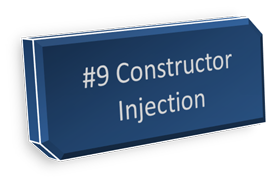 The next part will be on constructor injection... and following that setter injection. MOTD: Man is not an end but a beginning. We are at the beginning of the second week. We are children of the eighth day. A quote from Thorton Wilder - exciting huh, this seperation between interface and implementation is what makes doing so many cool things with an Inversion of control container possible... soak up the idea. 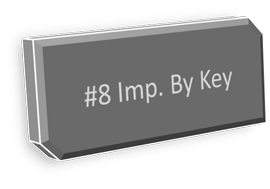 Next time we'll take a look at getting different implementations by using their "key" - have you been wondering what the "id" attribute is for in our component definitions?? Well wonder no more.